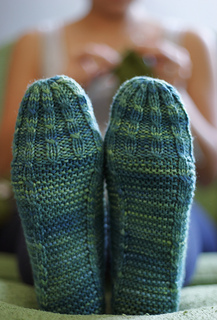 I loved receiving slippers EVERY year from my Aunt Nancy! So, I have written up a modernized take on those beloved “poochies” as we called them. 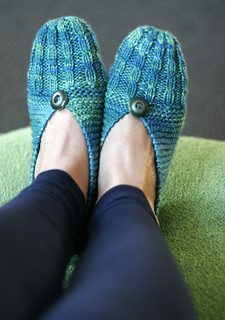 Cute, cabled, ballerina style slippers. Dress them up with buttons, pom-poms, or I have included instructions for an Optional Strap.